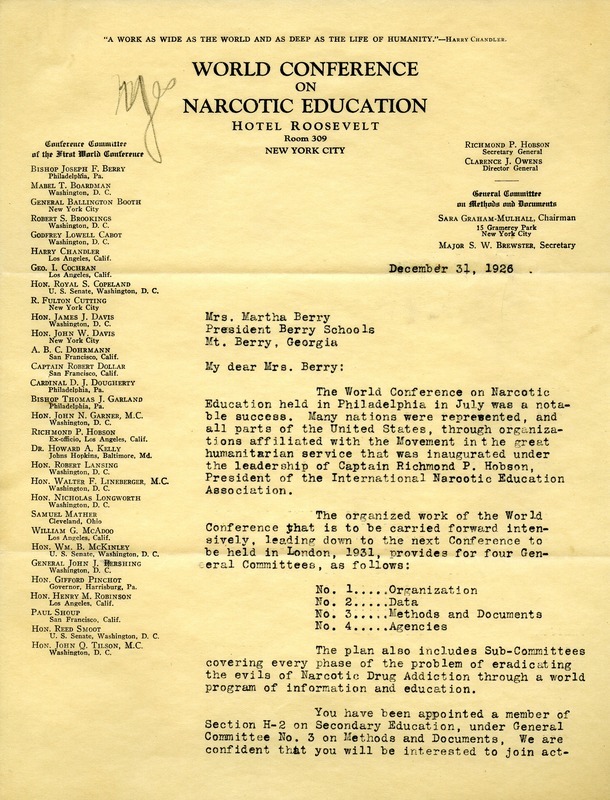 Letter describes the work of the present conference held in New York City and describes the success of the previous conference in Philadelphia. 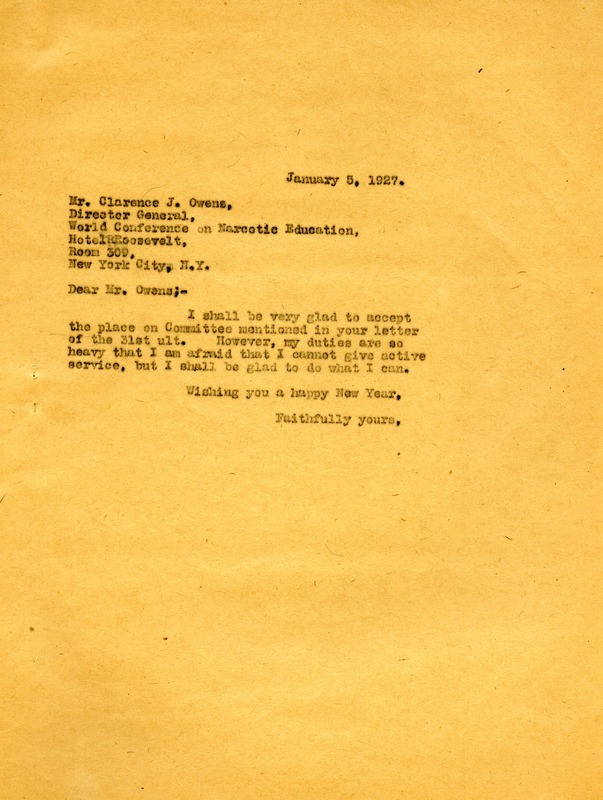 Mr. Clarence J. Owens, “Letter to Martha Berry from Clarence J. Owens.” Martha Berry Digital Archive. Eds. Schlitz, Stephanie A., Chelsea Risley, Garrick Bodine, Alan Henderson, et al. 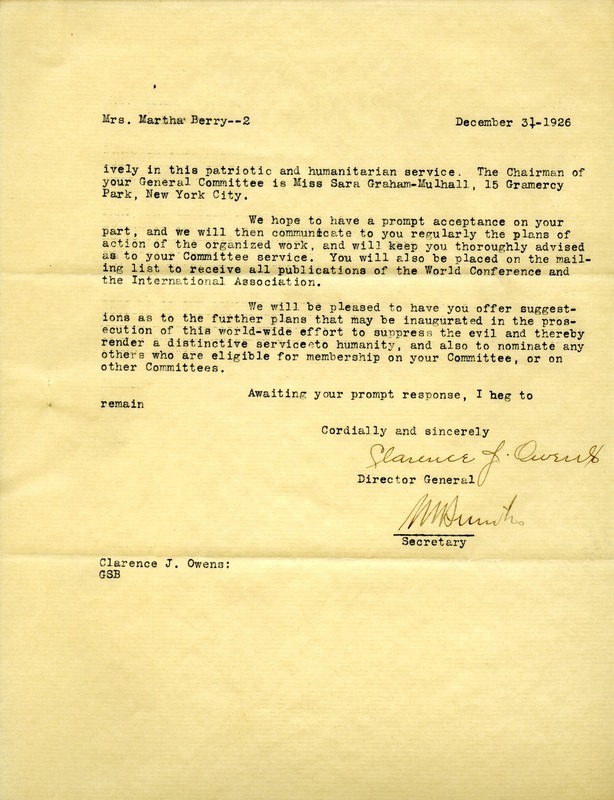 Mount Berry: Berry College, 2012. accessed April 26, 2019, https://mbda.berry.edu/items/show/2722.